Character information for Yuffie Kisaragi, a protagonist of Final Fantasy VII. Included are her background, stats, and limit breaks. 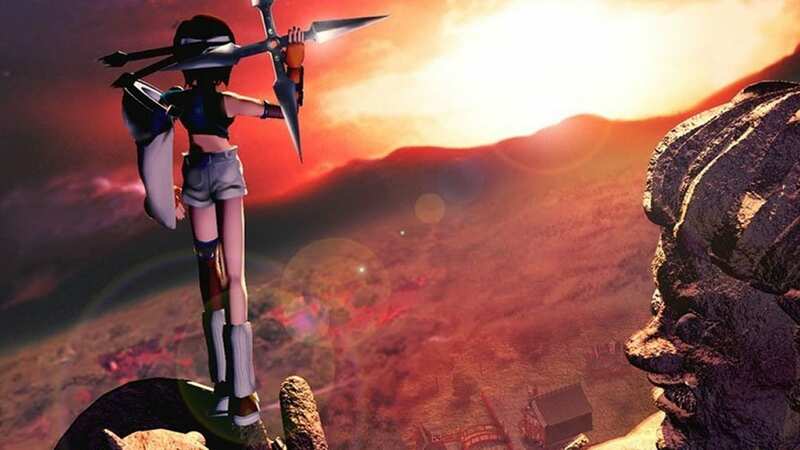 Yuffie Kisaragi is one of two optional characters. She came from a long line of Ninjas. She forced herself into the group just to get a “certain something.” She’s quite rebellious, sneaky, and a cocky tomboy. 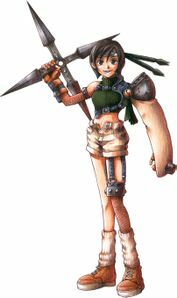 Despite her obnoxious personality, Yuffie is friendly, helpful, optimistic, and willing to help the party in their battles. In the previous Final Fantasy titles, the thief is a job suited by a character with very high dexterity. Yuffie corresponds to this job. All Creation 4 Damages all enemies Defeat Godo at the top of the Wutai Pagoda and finish Yuffie’s subquest to obtain the manual.